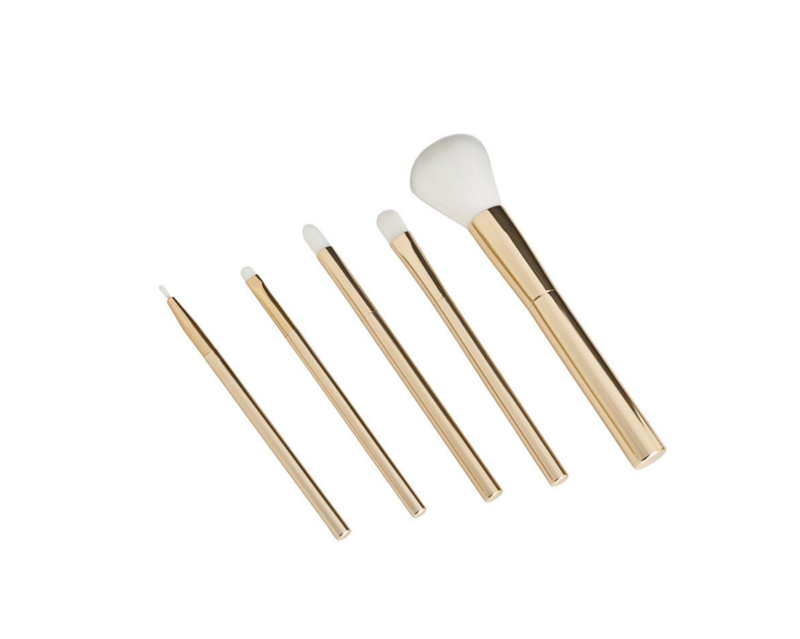 This travel brush set in glamorous gold features full-sized brush heads in ultra soft white synthetic hair to flawlessly apply formulas for face and eyes. 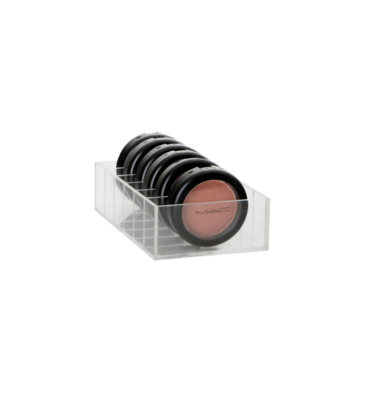 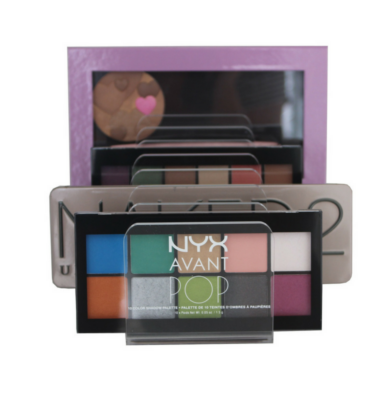 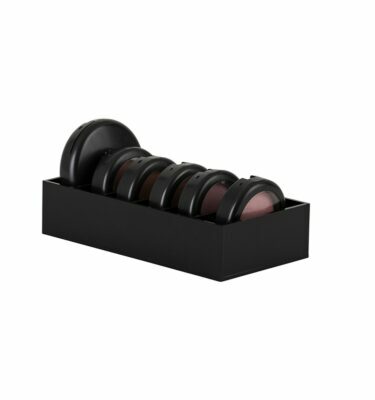 The set includes a powder blush brush, crease brush, eyeshadow brush, concealer brush and eyeliner brush. 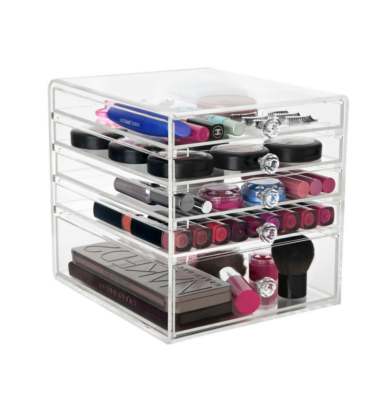 Great addition to your makeup collection, for travel or to simply look glamorous on your vanity! 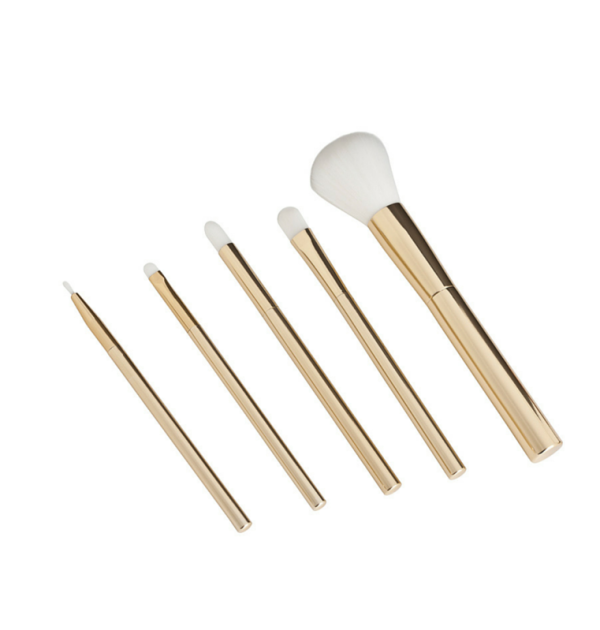 Love these brushes, they look so fancy on my makeup table!